If you looking for a Custom Seat for your Sportster, Dyna or Softail? We have so many choices we can't post them all! Email us for your Year and Model and we can send you pic's and prices, we'll be adding seats as we go for the Newer Models. Exotic Skins or Just Plain Vinyl or Leather we can mix and match as well as add Stitching and Designs. Your only Limited by your Imagination and your Budget! Email us at Sales@GRcustoms.com for more info! 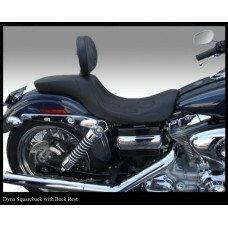 Dyna Custom 2 up Seats 2006 and Up! 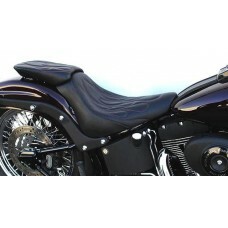 Several 2 up Styles to Choose from Fit's Low Ride..
Softail Seats for 2010 & UPM8 MODELS COMING SOON! Our Solo Seats have a Low Profile for Styl..